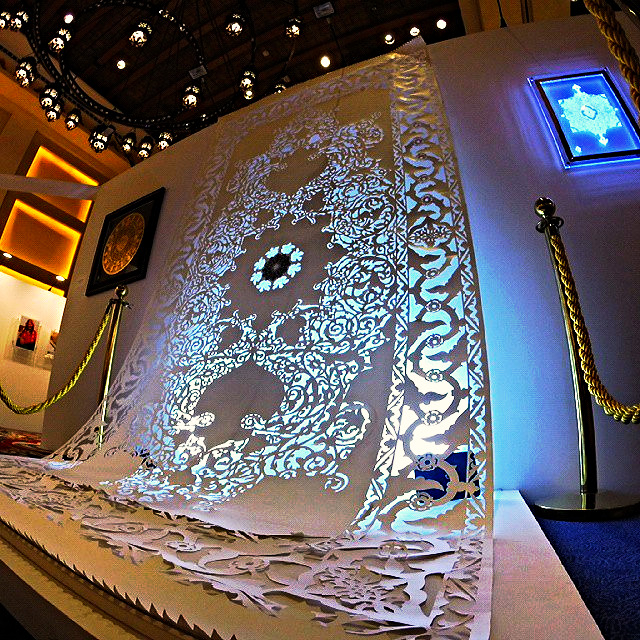 Maryam created 9 ft. by 5 ft. single sheet hand paper cut installation for the interactive project which was initially exhibited during Clerkenwell Design Week in London and then traveled across UK and then ended up in Dubai during Word Islamic Economy Forum in November 2014. 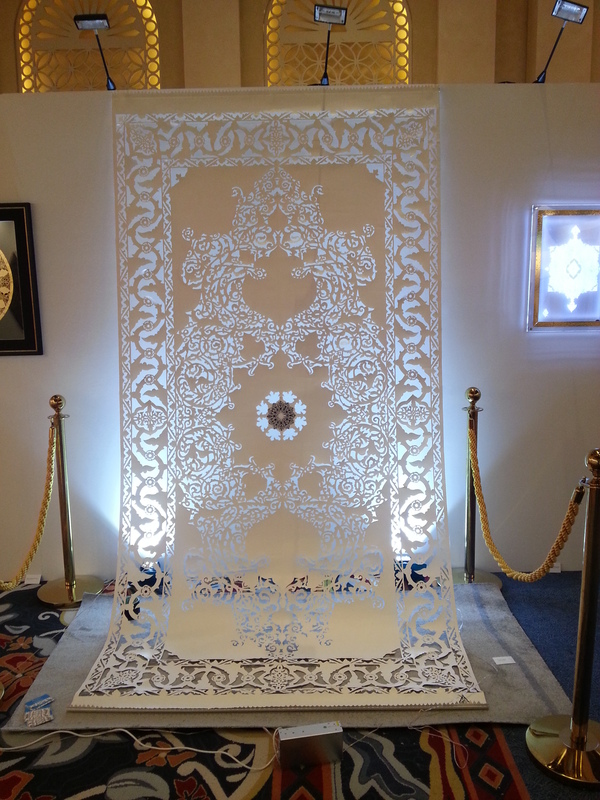 Magic Carpet, Hand Cut Paper Installation, Dubai, WIEF 2014. 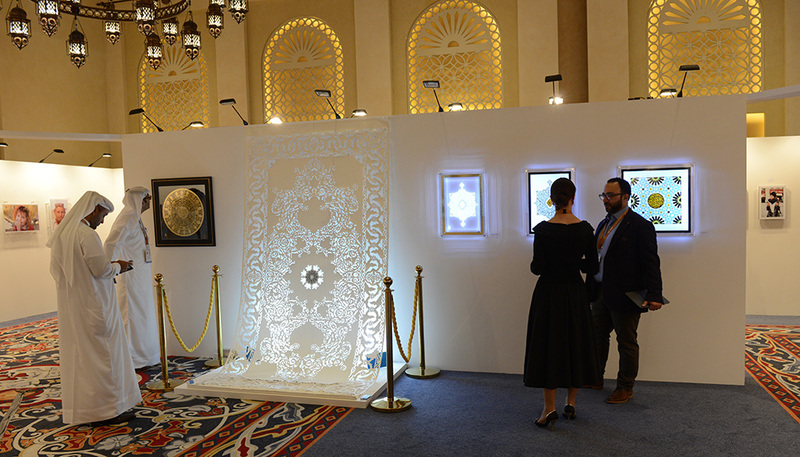 WIEF 2014.Photography by Peter Sanders.